"I would never medicate my kid"
I did not medicate my child so he would be a zombie. If anything I have found he was more of a zombie before medication. He was not focused, lacked understanding the world around him, and I could not communicate with him. Average I could handle it is being constantly at the bottom struggling to keep up that is the problem. "People just claim their kid has ADHD so they can medicate them because they're too lazy to parent their child properly." I guess this is why I have not medicated my other children? Sometimes it feels like bigfoot gets more credit! "Your child can control themselves if they really wanted to." Can people control depression, bi polar, or autism (to name a few)? No. ADHD is a real illness that is beyond their control. Well try spending more than an hour with him. Oh you had it, you just had less help and understanding. "If he wanted to focus, he could do it." Try telling the person struggling with chronic depression that if they wanted to happy badly enough they could. "Give him the ADHD meds, problem solved." Yes sometimes medication can be great for one family but really it can also be horror for another family. There is not always one clear cut answer for every child. I don’t know why you seem to have this image in your mind that my kid is sitting at home eating sugar by the pound. This feels like a slap in the face that every child struggles with exactly the same things but we are just looking into it too much or can’t handle a ‘normal’ child. If that was true I would be placing my two year old on a pill. You're right I hate creativity, I would rather live in a black and white world and stare at the wall. "I'm sure you understand why your son cannot be around my children"
Actually yes, I do...your ignorance might rub off on my child. Yes it is a shame he has to go to work and provide for his family so they can have a home, clothing, and food. Would you be surprised to know my life was full of guilt because of constant lectures and time outs before an ADHD diagnoses. "You just need to discipline (spank) him more" or "Maybe what he needs is a good smack." I just have to say there is a difference between discipline and punishment. Spanking is punishment, discipline is teaching them to make good choices, to react in an acceptable way, to allow do-overs, and to place emphasis on the positives, the strengths not point out every little negative thing they do wrong that makes them feel worthless. That takes more work than spanking! Plus I thought hitting your child was against the law these days. "I'm gonna pray for him. Have you considered that this behavior might be a spiritual issue?" Way to make me feel like it's all my fault for being a bad Christian/unfaithful.....prayer is awesome but can't cure a neurological condition! "There is no way she has ADHD, she's too smart." Ummm... the diagnosis has nothing to do with intelligence levels! "He's just being a typical boy." I guess me, his doctor, and psychologist have no idea what we are talking about. "He just needs more exercise." “All she needs is to spend a week with me; then she'd be a different person!" Lady, if she spent a week with you, YOU would be a different person! So how behind do I let my child get in school while waiting for maturity to kick in? "If every other student is doing it, he can too. He’s certainly SMART enough, he just needs to get it together!" Like the "get it together" chats and punishments didn't happen years ago. They obviously didn't work and led us to reaching out and getting the help. 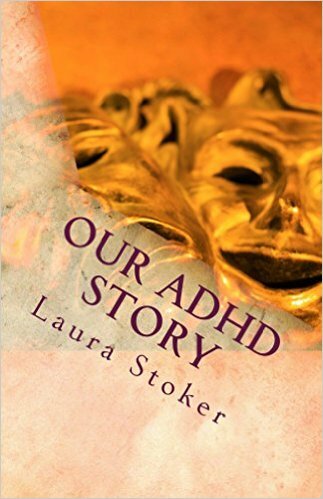 A big thank you to all the parents who helped put this together from A mom's view of ADHD! If there is one we may have missed please share in the comment section! No thank you for your excellent comment! I love the last statement in your article. My daughter is in 8th grade and we here this ALL the time!! It is so frustrating especially for her because she really does want to "get it together". thank you for this article! Thank you for your comment Susan! It means a lot! I have experienced so many of these "statements" and really appreciate all the sharing that went into compiling this. My son has ADHD and I chose to medicate him even though it was a hard decision to make. 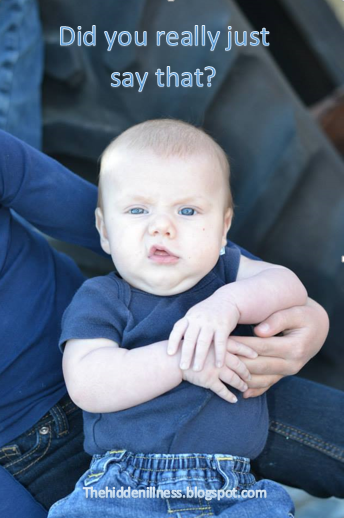 In the end, I came to the realization that there are way worse things my son could of been diagnosed with, and that had he been diagnosed with something else for example cancer, I wouldn't hesitate to do whatever it took to make him better. Having ADHD is no different, and this what I say to parents I cross paths with to help them I guess feel better. That's my story, thanks for your time! That is so true, we want to help our kids no matter what! I'm a psych student and ADHD is most definitely a real illness! This blog makes some very valid points except for one thing: there has been scientific research that supports the argument that ADHD is overdiagnosed and especially so in boys because they tend to be more hyperactive while girls tend to be more inattentive. I hate to be the bearer of bad news but facts are facts. It's in college textbooks and scholarly journals so feel free to look it up for yourself if I've piqued your interest! 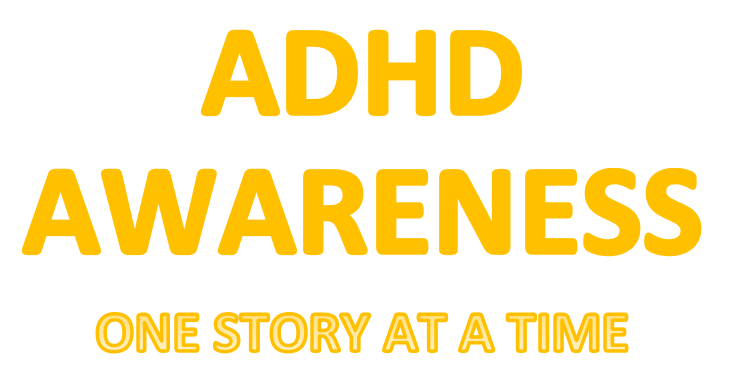 I know it is over diagnosed but moms of ADHD kids still don't want to hear these things. They should also add that there are those who say, "You know, if you had stuck to a healthy diet while you were pregnant, your kid wouldn't act like this." well put, I have two kids one ADD and one ADHD both diagnosed at the same time. I could not be more proud of my kids they are kind compassionate loving caring neither one have a mean bone in them. They are beautiful inside and out. I needed to read this tonight!! I feel like I am unraveling.. especially after today's homework with my son. He is Medicated, this is the second one. The first one he would after a few months adapt to it, and need a higher dose, I finally said no, and now we are trying a different one... it's starting to be the same. I have tried essential oils, removing stuff from his diet, you name it, I've tried it. Today we started brain core therapy.. not covered by insurance and for me very expensive. Although this has been hard on me.. life is harder for him, and I will continue to try until something helps. Sounds like you are an amazing mother doing everything you can to help your son! ADHD/ADD is without question a real illness, a neurological condition that can be managed with a variety of techniques (that may or may not include medication) -- that an estimated 5% of the population has. However, 15% of elementary school aged kids take medication for ADHD/ADD. 5% of kids with ADHD, 15% of kids taking meds for ADHD suggests 10% of kids who do NOT have ADHD are nevertheless taking medication for it! THAT is the is the 'lazy parenting' approach -- medicating a kid you cannot be bothered to appropriately discipline into submission. There's also the little matter that SO many little boys, whose parents swear they have ADHD, are nevertheless able to play videogames for 5 hrs at a stretch, happily play soccer or baseball outside for hours with their friends, etc. This suggests a kid who CAN focus if they want to (5hrs of minecraft is nothing if not focused!) but simply choose not to bother in other situations (school) and the lazy parents who drug 'em into submission! Jane do you have an ADHD child? Are you ADHD? The fact is to be able to tell the lazy parent from one is has tried everything is not something just anyone can do. To get medication you have to consults doctors. I know there are those who do not really have ADHD but to assume someone is that person is not yours or my call to make. Jane J - You do realize that 5% of the population includes adults, teens and elementary kids that have ADHD? Wheras 15% of elementary kids is strictly about the number of elementary kids on meds? Those are two entirely different groupings. You invalidated your own point. And clearly you do not know the neurological affects of ADHD. The reason that they can focus for longer on things that they enjoy is because when they're doing things they enjoy their brain receives hits of dopamine which encourages longer attention to that task. I think by your statement you in fact do NOT have a child who is ADHD. Oh my goodness, YES! I totally feel like tagging certain people in this article who have especially told me about the diet thing. My family has always eaten well (organic, whole) and I STILL have it suggested to me. Unless you live in a house with an ADHD family member, you have NO IDEA! I love some of your responses to things people say,especially the one about let them stay a week with me.Some people have no clue. I hear you! I should make one of these for adults!!! Thank you for the inspiration! Yes they can! I have twins with ADHD, 13 years old now. I spoke to the counselor about their organizational issues. They do get help! They are reminded to pack their HWs. One of them has a tracker for how much HWs and class work he has completed. Hope this helps. Also, check this website! I took a parenting class for children with ADHD and it worked wonders! Good luck!